Weaving, the process of joining individual threads together at right angles to one another has been around for millennia. From basket weaving to loom-weaving, the process of weaving was already known in the Paleolithic era, as early as 27,000 years ago. In woven fabrics, threads or yarns are placed perpendicular to one another, then attached together through a pattern called “warp” and “weft.” This creates fabric. Woven fabrics are produced on a loom. The loom joins two sets of yarns by weaving one set between the other. The two sets of yarns are perpendicular to each other. One set is called the warp and runs the length of the fabric. Generally, woven fabrics are stronger and more structurally sound than non-woven fabrics. It’s why they’re used to make many of the items we wear on our skin: the cotton shirt, the silk of a dress, or the wool of a sweater. Woven cloth is flexible but not overly stretchy, so it is able to retain its shape well. Also, woven fabrics are strong making woven cloth well-suited to machine washing and a durable use. There are all kinds of different weave styles that give different types of fabrics as a result. Most of the clothing is made of using three main types of weaves: twill, satin and plain weave. Each style has its own advantages and specific application. 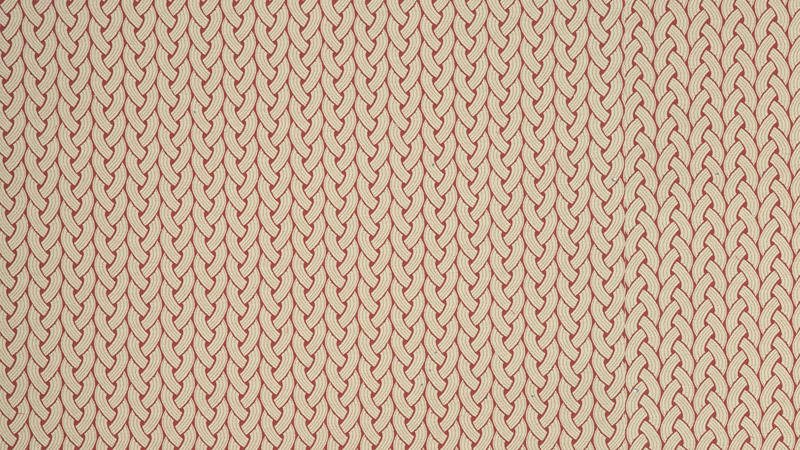 The plain weave repeats on 2 Ends × 2 Picks. The plain fabric comprises a high percentage of the total production of woven fabrics and it can be produced on a loom with two harnesses. IT has the highest number of interlacing as compared with other weaves and therefore it produces the firmest fabric. Satin weave is characterized by four or more shafts with warp floats or weft floats in interrupted diagonal. It is very lustrous, excellent drawable. Its subcategories include Satin, Slipper satin, Crepe-back satin etc. Chiffon – Chiffon fabrics are sheer, lightweight fabrics made of hard twisted yarns and used mainly on women’s evening wear. Chintz – a medium weight, plain woven cotton yarn with a glazed finish. As a fabrics chintz mainly used for dresses, blouses and pajamas. Corduroy – a cut pile fabric seen in the form of the ribs on the surface. It is used mainly for the production of pants, jeans, and shirts. Crepe – a silk fabric is originally characterized by a crinkle, puckered surface formed by highly twisted yarns in the warp or weft or both. It is used for shirts and women’s dresses. Denim – a yarn dyed, warp-faced cotton twill fabric. The wrap is usually colored different shades of blue while the weft is white. Its use in the production of jeans has made this fabric very popular. Flannel – a woolen fabric woven in plain or twill weave having the characteristic soft handle. Flannel fabric is used mainly for shirts, suits and pants. Gabardine – a closely woven, clear finished warp-faced twill fabric. It contains a number of warp yarns than weft yearns and is also very durable. It is usually woven in 2/1 or 2/2 twill and has a raised diagonal twill effect on the right side. It largely used for raincoats, suitings, and sportswear. Georgette – a sheer lightweight fabric, woven in plain weave. It has a characteristic rough texture produced by hard twisted ply, yarns both in warp and weft. It’s mainly used for women’s evening wear. Poplin – a medium weight, the cotton fabric having a fine weft rib. it is generally used for shirting, dresses, and upholstery. Taffeta – a smooth, crisp, transparent fabric having a fine rib. Made from silk or rayon and used in women’s evening wear. Velvet – a warp cut pile fabric, made from silk or Rayon. With a dense cut pile that makes it very soft and lustrous, it is used as dress material for women and men. It is also produced with special high twisted yarns which are single or ply yarns. Mousseline – A term used to denote very fine clear fabrics, finer than muslins. Made of silk, wool or cotton, the weave structure is either (plain) tabby or two and one twill. The resulting cloth is cloth fine and transparent so we find mousseline backed with another cloth of satin or taffeta silk. Organza – a lawn fabric which is given a stiff finish. Acid is used for this finish to make the fabric transparent and stiff. It is mainly used for women’s wear. Muslin – a name derived from the city of Mosul where the fabric was first made. It is a very light and open plain weave fabric used for summer dresses and utility use.